There’s no good excuse to miss an alumni game. But for Todd Swarthout, exceptions are made. 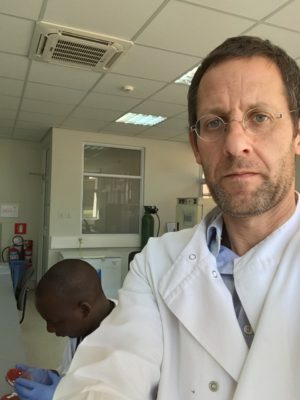 For the next five years, Swarthout is working in Malawi as a program coordinator and epidemiologist with the Liverpool School of Tropical Medicine, helping prevent the spread of cholera, meningitis and haemorrhagic fever in the region. Prior to that, he and his family were stationed for five years in the Democratic Republic of Congo, South Sudan, Zambia, Zimbabwe and Tanzania, plus another two years in Paris and three years in Amsterdam. “I dream of making it to an alumni game, but never seem to be in the neighbourhood at the right time,” Swarthout said. Despite being thousands of miles away from Humboldt County, Swarthout said he still hopes to return eventually and reunite with old teammates and make new friends at an alumni game. In the meantime, he just purchased a lacrosse stick while in Scotland and brought it back home to knock some rust off his game. How did you end up at Humboldt and joining the team? Humboldt was the great outdoors, as rural as I could get from my home town of San Francisco and HSU being of a manageable student population of less than 3,000 students. My lacrosse exposure was similar to Henry Lomeli’s story of passing the Lower Field, across from what was then the Natural Resources building, and seeing the guys throwing the ball around and knocking each other’s heads off. That was 1985. I had also seen a commercial once (was it Mountain Dew?) [editor’s note: it was Pepsi], with an attack (must have been an attack) diving over a defensive player and scoring. One or two practices and several days of throwing the ball against the racquetball wall near the Upper Field and I was hooked. What’s your favorite lacrosse moment? Take your pick, really. They include scoring my first goal against SFSU with my mother watching. She died later that year of cancer. Or my first hat trick against San Jose State. There was also one game against Sac State (bunch o’ holligans) when I was playing my usual crease attack and received that perfect pass in front of the goal from Mark Doodha. He threaded the needle from behind the goal and I managed to hold on, despite a thrashing, and score — great moments of teamwork. That moment of collegial road-trip bonding between John Mahoney and I when we realised we had a common like and knowledge of muesli (this was the ’80s). Or the time I forgot Kerry Sheedy was cupless at practice and I nailed him in the nuts… Oohh you didn’t want to get on Sheedy’s bad side and he was justifiably pissed. To his credit, he did announce his absence of protection, but who forgets to bring his cup for LAX practice? I lived there 13 years (’85-’98), during which I completed three years of schooling. However, I made maximum potential of all it had — and still has — to offer. We’re talking 1985 when I arrived: A fantastic community which offered great opportunity in its small-town essence. I’m not sure how much it has changed, but I only recently told my niece that she should explore life “Beyond the Redwood Curtain.” HSU had some excellent faculty, rich in visiting artists and an excellent outdoor sports scene. The pace and size allowed for me to grow and become an integral member of the community in ways not feasible in a larger metropolis: a year as CCAT co-director, completed my paramedic training and deeply involved in community activities, five years as a builder alongside the likes of Steve Bohner. Ever get a chance to get back up there at all? What places would you go first? Not often. I left in 1998 back to San Francisco to complete my pre-med studies. Then I left for Europe and other continents to finish my post-graduate studies and work. I must confess I think I’ve only been back twice. My first day-time activity was a run through the Arcata Forest and my evening activity was a whisky at The Alibi with a couple of old friends. I never excelled at team sports when I was in high school…more of a cross-country runner, really. But I took to lacrosse with a passion and I think I held my ground relatively well, epecially after ace-shot attacks like Percy went on to bigger things. It was a huge confidence builder, a wickedly cool and attractively under-appreciated sport. At 50, it means my youth in all its facets of collegial comradery, team work, mud bowling, learning to take a hit and rebounding, standing your ground and fighting to meet your target. 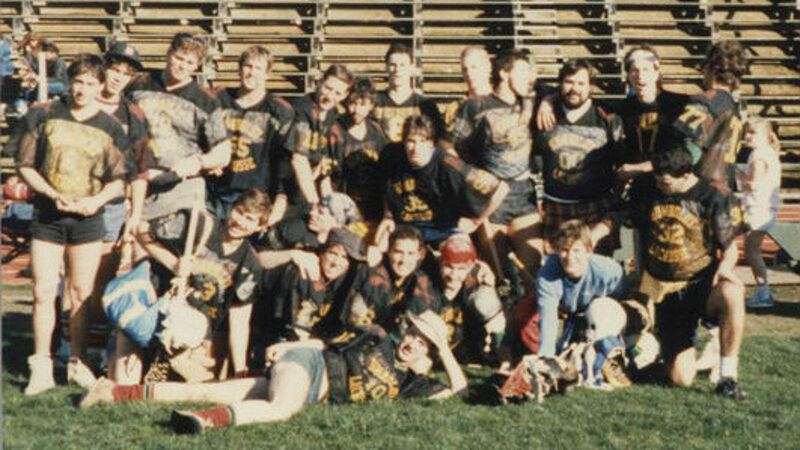 Nostalgia blurs the line between what lacrosse means and the confounder of youth: Deep friendships built on long night walks through the misty Arcata Bottoms, languid bagel brunches following ultimate frisbee pick-up games, skinny dipping in the Mattole with scents of bay laurel wafting in the breeze. We had a mostly fantastically kind team (James Kircher always accused me of being too earnest)…really good people, the likes of Kircher, Lomeli, Doodha, Maready, Judge, Beckwith, Mahoney, Knaar, Sheedy, Steve. All a bit crazy in different ways but, if memory serves, good and welcoming people. What do you want people to know about what you do? I’ve always been driven to making the world a better place. 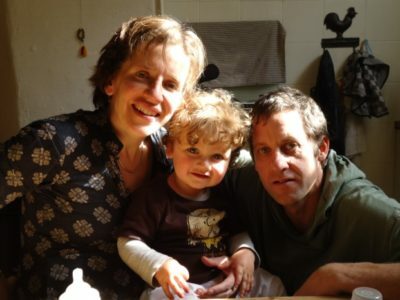 In the earlier years, it was around the environment: co-founder of Arcata Earth First!, early EF! lobbyist and co-author of the original draft proposal for what is now the Headwaters Forest Reserve. A bit later it was two years in Petrolia with the Mattole Restoration Project and teaching field biology at the original independent Petrolia High School; working to instill in youth an appreciation of the land and its link with the river, to establish or feel a “sense of place.” More recently it is around public health. This had led to a London-based MSc and PhD in infectious disease epidemiology and 10 years with Doctors Without Borders (Médecins Sans Frontières) running clinical trials and response to disease outbreaks like cholera, meningococcal meningitis, haemorrhagic fever; five years based in “the field” — DR Congo, South Sudan, Zambia, Zimbabwe, Tanzania — and five at headquarters (two years in Paris and three years in Amsterdam). 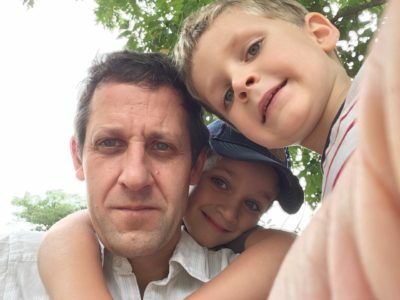 I am now based in Malawi with my Dutch wife and two young boys (Ilan, 7 and Amit, 5), running the vaccines research component of the Malawi-Liverpool-Wellcome Trust Clinical Research Programme. My main focus is exploring how we can optimise vaccine schedules for maximum public health impact.